For Newport, Rhode Island’s high society, the summer of 1896 brings lawn parties, sailboat races…and murder. Having turned down the proposal of Derrick Andrews, Emma Cross has no imminent plans for matrimony—let alone motherhood. But when she discovers an infant left on her doorstep, she naturally takes the child into her care. Using her influence as a cousin to the Vanderbilts and a society page reporter for the Newport Observer, Emma launches a discreet search for the baby’s mother. 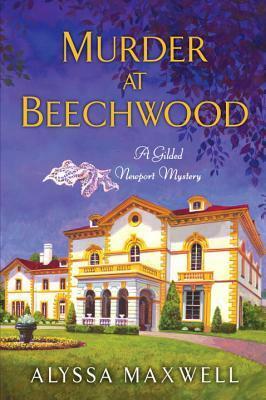 Murder at Beechwood by Allysa Maxwell is a 2015 Kensington Publication. I was provided a copy of this book by the publisher and Netgalley in exchange for an honest review. Real life locations and real historical figures in blue blood society are featured in the Gilded Newport series featuring Emma Cross, a young newspaper journalist, who always manages to find herself embroiled in a crime drama. In this case, Emma is shocked to discover an infant has been left on her doorstep and begins to discreetly look for the child's mother, while covering the social events of high society with the Astors and Vanderbilts. While attending a summer party at Beechwood a tragic sailing accident leads to a suspicious death and Emma's former beau, Derrick is a prime suspect. Can she prove his innocence? Will she discover who the child's mother is and why she left him on her doorstep? Could the two incidences be connected? I am a sucker for historical mysteries and I love crime solving by amateur sleuths. So, this book was right up my alley. Emma is a great character with a big heart and a strong sense of right and wrong. She struggles to maintain peace within her family, help others without passing judgment, and is fiercely independent. Society's rules are a running theme throughout as Emma, who is marginally related to these people, is often treated as a step above servitude. The divorce rates and unwed mothers were rare in those days, but when they did happen it was a great scandal, so when faced with ruin, people resorted to desperate measures, which in this case resulted in murder and tragedy. Alyssa Maxwell began a love affair with the city of Newport while visiting friends there back in her high school days. Time and again the harbor‑side, gas‑lit neighborhoods drew her to return, and on one of those later visits she met the man who would become her husband. Always a lover of history, Alyssa found that marrying into a large, generations‑old Newport family opened up an exciting new world of historical discovery. From the graveyards whose earliest markers read from the seventeenth century, to original colonial houses still lived in today, to the Newport Artillery Company whose curator for many years was her husband’s grandfather, Newport became a place of fascination and romantic charm. 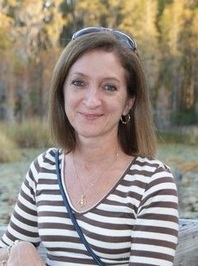 Today, Alyssa and her husband reside beneath the palms and bright skies of Florida, but part of her heart remains firmly in that small New England city of great significance, a microcosm of American history spanning from before the Revolution through the Civil War, the Industrial Age, the Gilded Age, and beyond. so if we read book with cook somthing like this,.,..